The nation’s most famous home will be the focus of a new undergraduate course at American University this fall. 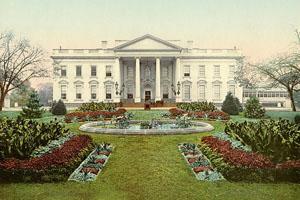 In partnership with the White House Historical Association, American University’s Department of History, in the College of Arts and Sciences, will offer A History of the White House. It is believed to be the first-of-its-kind undergraduate course on White House history. The course will give college students an insider’s perspective on the White House and its role in political history. Students will hear from historians and professionals with significant White House experience and delve into the history and allure of the Executive Mansion, including its two centuries of architectural transformations and rehabilitation, the offices of the President and the First Lady, and the building’s evolution as an emblem of popular sovereignty and peaceful transition, political democracy and diplomacy. Students will learn about lesser-known stories from the quizzical, such as when during World War II, a recommendation was made to paint the White House in military-style camouflage as a means of protection, to the poignant: Sixteenth U.S. President Abraham Lincoln gave his last speech from a window above the White House North Door to a gathering of citizens below. In 1975, crews excavating the White House Grounds to build an outdoor pool during Gerald Ford’s administration unearthed a rubbish pit. During the War of 1812, White House staff members dug the pit to dispose of items destroyed by British troops when they burned the White House. As part of the new course, AU students will visit sites in Washington, D.C. related to White House history including the White House Visitor Center and Decatur House, one of D.C.’s oldest surviving homes and which features one of the few remaining examples of slave quarters in an urban area. Some of the course’s guest speakers include Anita McBride, director of the First Ladies Initiative at AU and a WHHA board member who served as assistant to President George W. Bush and chief of staff to First Lady Laura Bush; WHHA President Stewart McLaurin; Mike McCurry, former White House press secretary for President Bill Clinton; Betty Monkman, former White House curator; Jonathan Pliska, a landscape historian; Adrian Miller, former special assistant to President Clinton; and John McConnell, senior speechwriter for then-president Bush. The students also will be invited to the Presidential Sites and Libraries Summit, which brings together leaders from presidential sites across the country and from many historical professions to share ideas and discuss insight into the management of presidential libraries, historic homes and museums. Convened by the WHHA, the event will take place at the historic Willard InterContinental Hotel in Washington, D.C., August 27-30, 2018. WHHA and AU have partnered for nearly a decade to enliven the history of the White House for AU students and extend that knowledge more broadly to the public through internships and research opportunities for AU students, and the “Legacies of America's First Ladies” initiative and conferences. "We are excited to enhance our already rich relationship with American University, a top national and global institution," said Stewart McLaurin, president of the WHHA. "We look forward to continuing our collaboration and educational mission with A History of the White House."